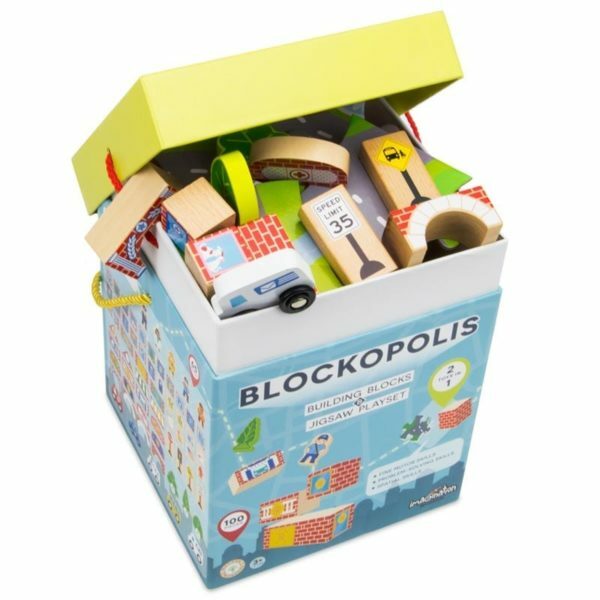 An epic toy that sparks the imagination. 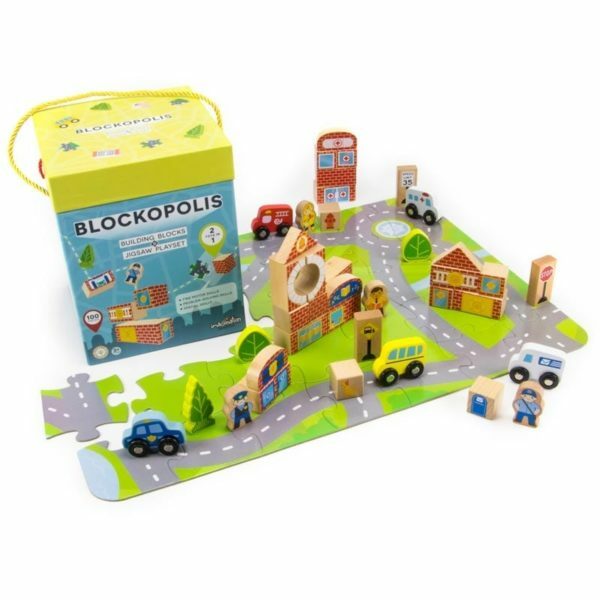 Blockopolis is a city, complete with a hospital, post office, police and fire stations, town hall, school, car wash, grocery store and pet shop. 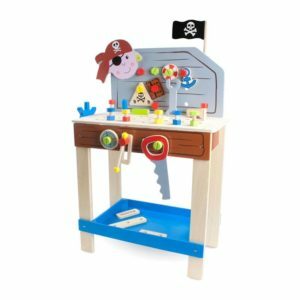 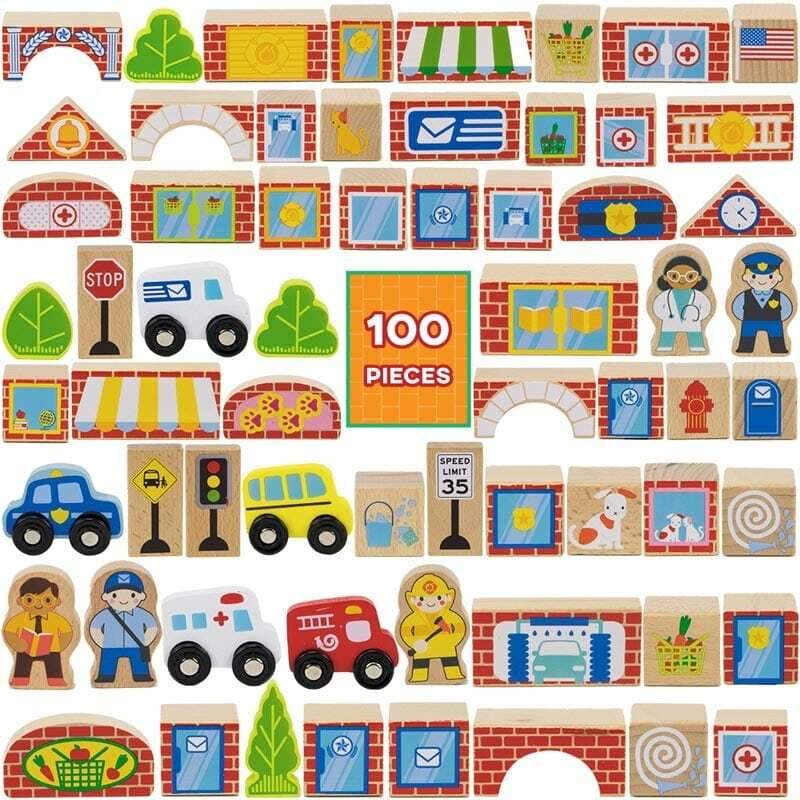 All you have to do is build it, and then populate it with your very own Blockopolis citizens – a doctor, fireman, police officer, mailman and teacher. There’s a fire truck, an ambulance and a school bus. It’s 100 pieces of pure creativity! Blockopolis, a 100-piece block city, sits on top of a jumbo 35-piece jigsaw puzzle that’s nearly 2’ wide. 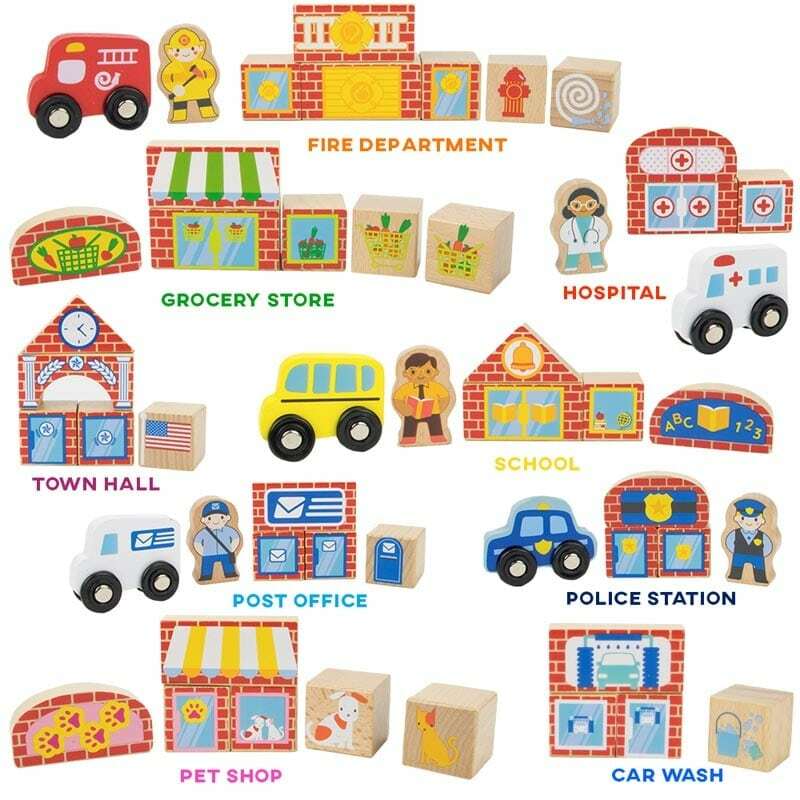 Comes with 9 different buildings, as well as characters and vehicles. 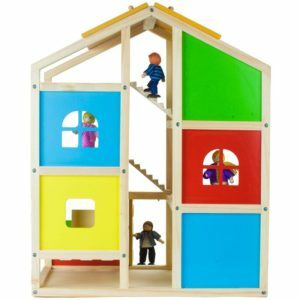 Facilitates co-play with other kiddies, encouraging interaction and building social skills. 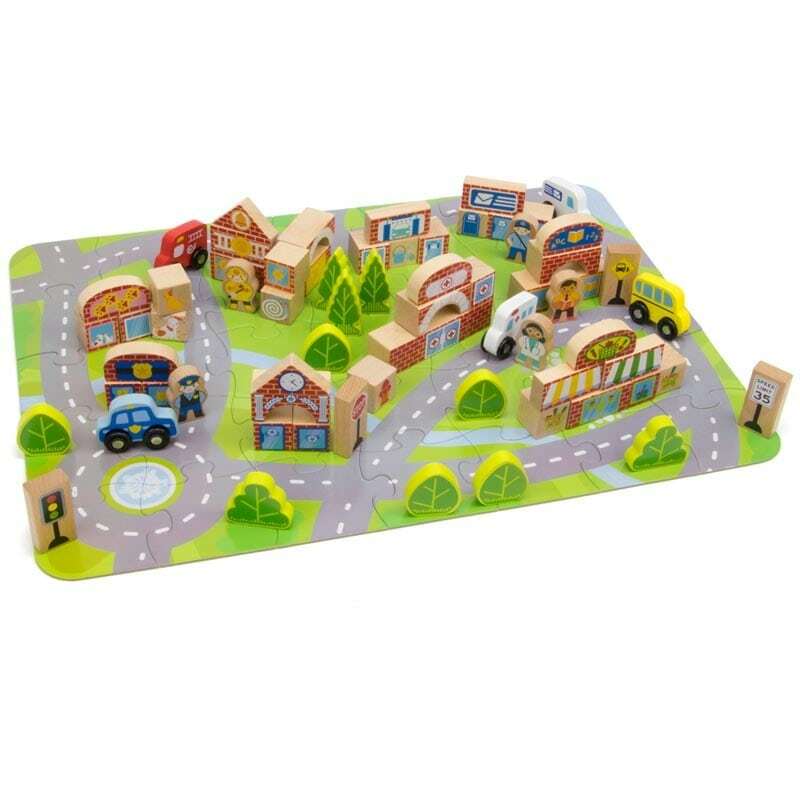 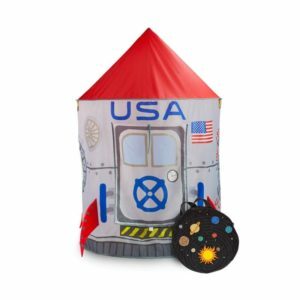 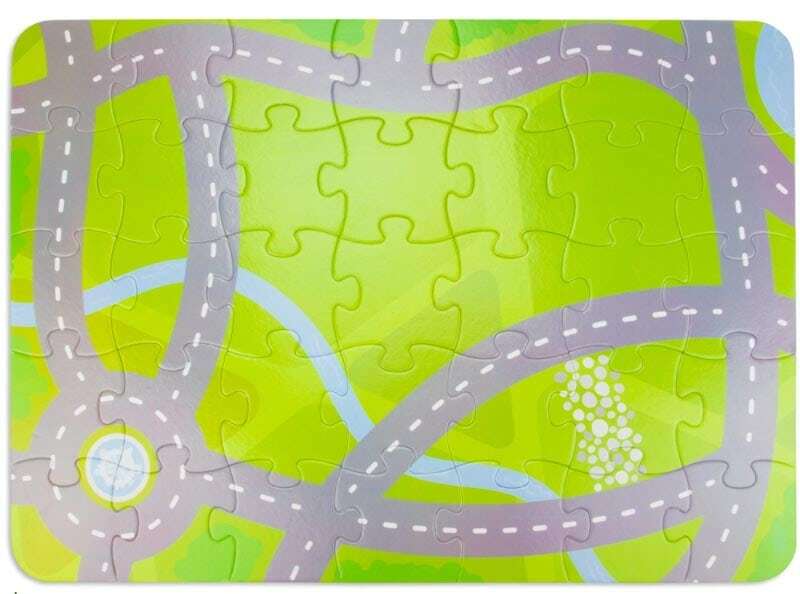 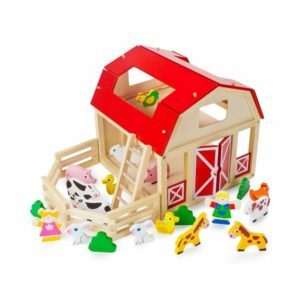 Develops spatial skills, problem-solving abilities and fine motor skills.